Architectural Metal Expertise contractors provide the greatest range of architectural metal products and services available to the design community. 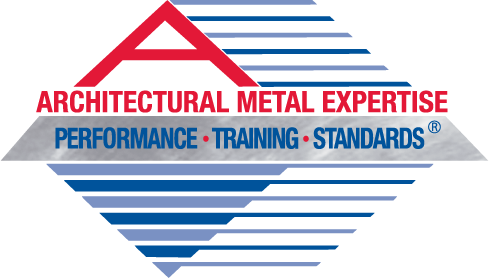 These experts, who employ the construction industry’s most experienced and well trained craftspersons, work with architects, designers, builders, and owners to design and create award winning architectural metal projects that are developed and produced by combining old-world craftsmanship with cutting edge technology. HOK Sports Office Building, Kansas City Mo. Architect: HOK Sports Facilities Group, Kansas City, Mo. 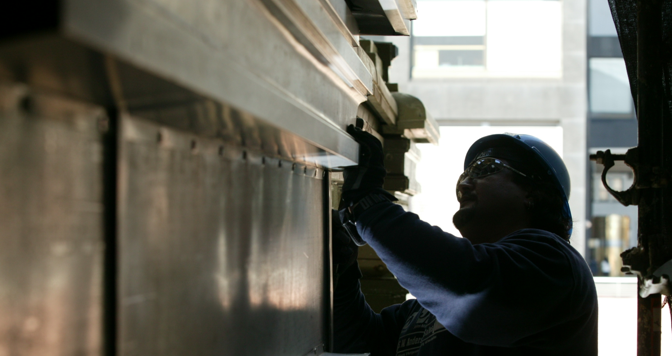 Sheet Metal Contractor: FCM Custom Metals Lee’s Summit, Mo. As the world’s largest sports architecture firm, HOK Sports Facilities Group is known for its ongoing commitment to innovation and excellence. When it came time for the firm to design their own office space, they embraced their design philosophies.